Saddle up and blaze a new trail when you wear these jeans from Miss Me. These jeans have cotton blend construction with a classic fit that will allow you to move easily without restriction. The back pockets feature faux closure and has winged embroidery, sure to make these are your favorites. 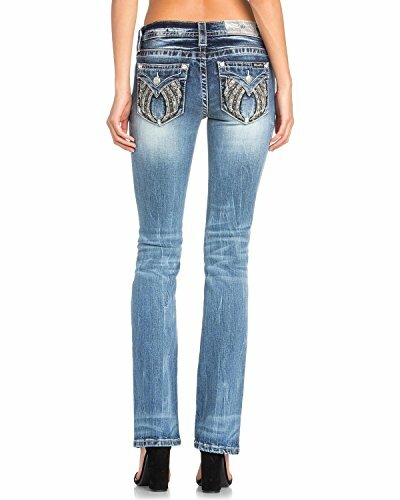 Match these Miss Me jeans with your favorite pair of boots, shoes, or sandals for a stylish ensemble. If you have any questions about this product by Miss Me, contact us by completing and submitting the form below. If you are looking for a specif part number, please include it with your message.